The original TAC-PAC® handgun ammo box offers about 1/2" of headspace. This space is utilized for such things as spent brass casings, brand-specific promotional material, earplugs, etc. The low-profile (LP) box offers the same "footprint" as the original; we have simply eliminated the headspace. The LP version is ideal for those with limited space. They still offer the same structural integrity and security as their counterparts with the patented tri-fold locking lid and tiered walls, only in a shorter container. 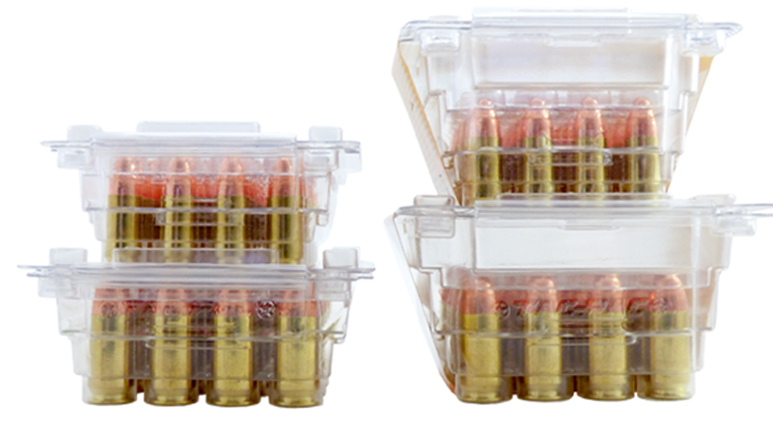 With the exception of the H120LP (extra small handgun), all of the TAC-PAC® handgun ammunition boxes are offered in either the original or low-profile version.